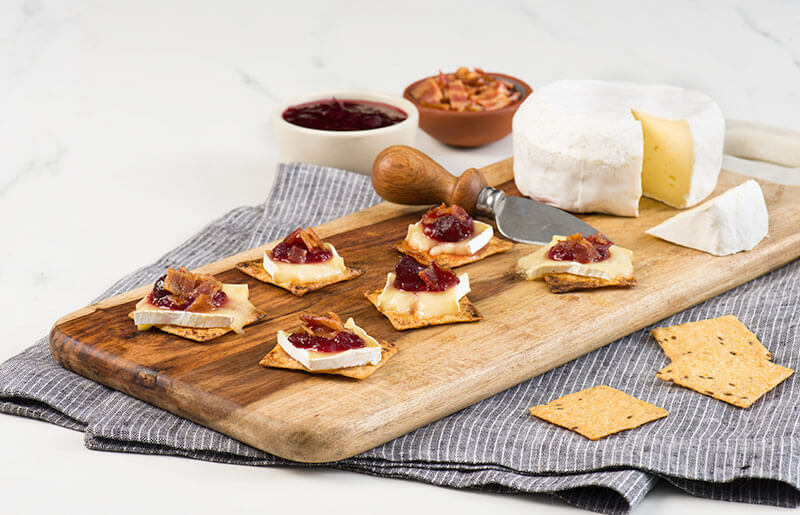 Top each cracker with slice of Brie, 1/2 tsp. cranberry sauce and sprinkle of bacon. Broil for 1 to 2 minutes or until cheese is melted.